Well, that was fast. Shortly after the spotlight was turned Rick Scott’s fundraising with a businessman arrested by the FBI for massive fraud (Facebook photos still available here), Scott's campaign and the Republican Party of Florida announced they would return the six-figure pile of cash. Looks like Rick Scott's experience with elaborate fraud schemes and federal investigations is paying off — he knows exactly how to get away Scott-free. Some things never change. 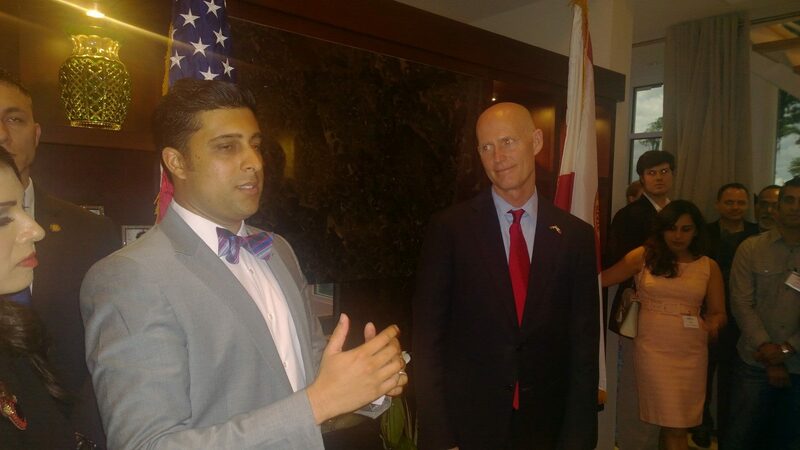 Today, Florida Democrats called on Rick Scott to return $100,000 in campaign contributions from Nikesh Patel, a Florida businessman arrested Wednesday by the FBI on criminal fraud charges. On October 1, Patel was arrested by the FBI for running a $150 million fraud scheme, "falsely representing that loans he sold were guaranteed by the U.S. Department of Agriculture, when they were not."